Our grantees this week are ensuring we have healthy food to eat, and a healthy environment in which to eat it. This week, The Pollination Project and our community of Daily Givers supported projects that strengthen our food supply by caring for bees, helping people find culturally-relevant ways to access and enjoy vegan food, encouraging people grow food and teaching people healthier ways to cook. Pollinators in Philadelphia, Penn. Chelsea Thoumsin is the founder of the Pollinator Project, an initiative aimed at promoting the long term conservation and survival of naturally-occurring and ecologically-important pollinator species. Chelsea (a burgeoning beekeeper) was inspired by her love of honeybees to provide year-round food for pollinators in the United States. 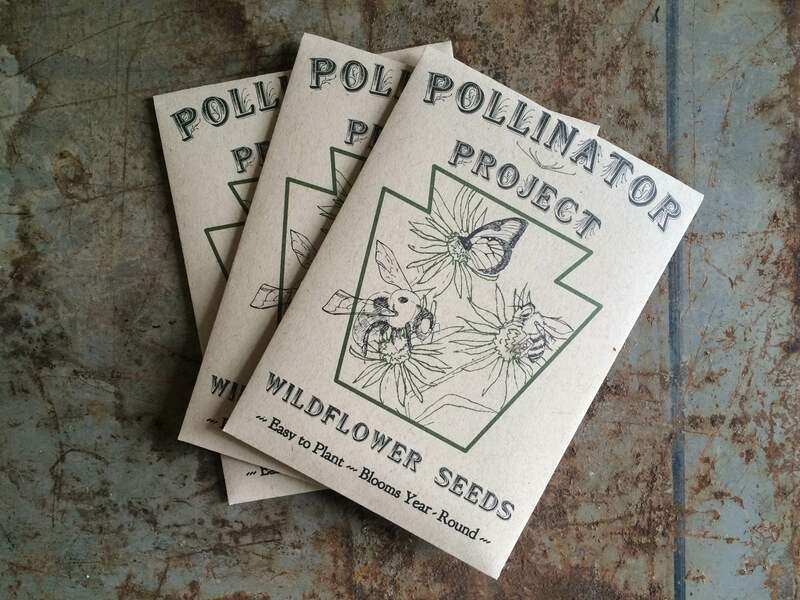 With one of our Pay it Forward loans, Chelsea is selling seed packets through her website and small boutiques in Philadelphia, each of which contains a mix of non-GMO annual and perennial wildflowers known to attract pollinators. Additionally, over 20 percent of all Chelsea's proceeds are donated to organizations dedicated to pollinator conservation. Vegan Soul Food in Oakland, Ca. Gail McGuire's life was changed for the better when she adopted a Vegan lifestyle. Now, Gail is sharing her experiences with residents in one of Oakland, Ca's historically impoverished neighborhoods by producing Vegan Soul Sundays. Vegan Soul Sundays aim to provide the health benefits of Vegan diets to low-income local communities by offering free vegan food samples, talks on food justice and nutrition, and vegan cooking demos from local chefs. Additionally, in collaboration with Gail, the Bay Area Black Nurses Association (BABNA) provides free health screenings and referrals for follow up care to attendees. 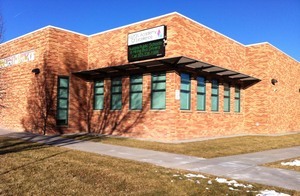 Community Gardens in Aurora, Co. Aurora, Colorado is home to the Fulton Academy, a school which caters to Nepali, Karen and Burmese refugee families. Although social divides have previously plagued the school Carol Dallas and a team of volunteers are helping to bridge the gap between communities both inside and outside of the school through the Fulton Academy Community Garden. Aside from offering teachers hands-on outdoor educational opportunities, the Fulton Community Garden will provide community members a chance to participate in the planting and harvesting of produce from the garden. Ultimately, Carol aims to foster a sense of belonging between the school and the surrounding neighborhood by offering garden space to students, parents, teachers and neighbors. 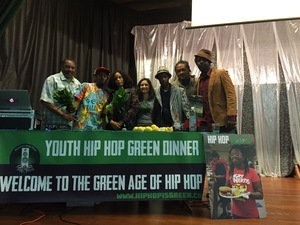 Hip Hop Meets Vegan Food in Oakland, Ca. Keith Tucker's 23 years of sobriety have inspired him to address the issues of poverty, obesity and chronic illness in Oakland, Ca. by teaching youth in the community to eat and value healthy food through the Oakland Hip Hop Green Dinner initiative. The Green Dinners are designed to introduce community members to delicious, healthy vegan food while providing attendees with relatable entertainment coupled with informational content on healthy living and dietary choices. For most attendees, Green Dinners are their first introduction to meatless meals. Green Dinners also serve as a bridge between local organic farmers, chefs, grocery stores, fitness professionals and urban youth who can potentially benefit from the guidance of local leaders. 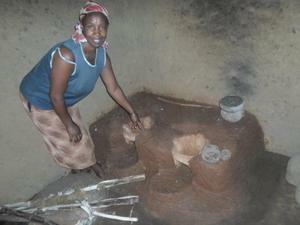 Conservation and Cooking in Kenya. Mildred Atamba Shivanda spent most of her early life cooking for her parents and nine siblings in Kakamega County, Kenya. According to Mildred, the average family in Kakamega typically consumes about eight trees worth of wood per month for cooking, most of which takes place on an open fire inside a small and enclosed space where family members inhale harmful byproducts. However, after years of burning firewood as cooking fuel Mildred has decided that she wants to help other women and their families find new ways to cook that are less harmful to both the environment and the health of their loved ones. Today, with the help of The Pollination Project, Mildred is simultaneously educating her community on the hazards of open-fire stoves while providing community members with non-wood burning stoves that reduce health hazards, deforestation and carbon emissions. Prison Inmates Care for Shelter Dogs in Redwood City, Ca. Mused Multimedia is producing a new documentary that tells the story of the heart-warming and transformative relationships between prison inmates and uncared-for canines participating in the Peninsula Humane Society (PHS) and San Mateo Sheriff's office TAILS program in Redwood City, Ca. TAILS (Transitioning Animals Into Loving Situations) aims to teach inmates animal training skills that will provide them with companionship during incarceration and, ultimately, help them transition back to life on the outside. The film, which is currently in production with the support of the Peninsula Humane Society and the San Mateo Sherriff's office, will document the effects of relationships between the shelter dogs and inmates participating in the program. 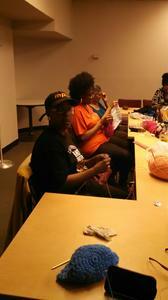 Knitting in Harlem, New York. Yvonne Singleton Davis is the cofounder of Sister to Sister: One in the Spirit, a non-profit dedicated to the empowerment of women of all ages in Harlem, New York. One of their newest projects, the Knitting and Crochet Corner, specifically aims to empower senior women of color in Harlem by providing them with a safe space to network, share resources, and discuss life challenges. The Knitting and Crochet Corner is held every Tuesday evening at the Countee Cullen Library and provides instruction in knitting, crochet, and yarn-based fabric production to women and children of all ages from the Harlem community. Redesigning Homes in Plano, Texas. Lenora Kelson is the founder of Livable Arrangements Incorporated, a project aimed at building healthy and safe home environments for the elderly and people living with physical disabilities. Based in Plano, Texas, Lenora and volunteers are using their experiences with interior design and care-taking to remodel homes in order to encourage, empower, energize, and engage their clients. In addition, LAI's future projects consist of care programs for the aging, daily living assistance, family nights, and community fairs. Children with Chronic Illnesses in Longwood, Florida. LaVonnia Kincade-Lee is the mother of two daughters diagnosed with sickle-cell anemia. 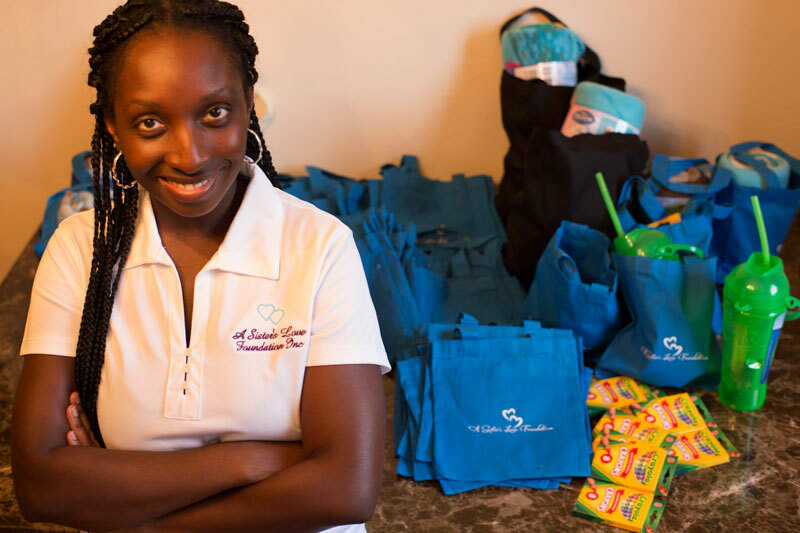 After spending countless hours and sleepless nights with her daughters due to complications resulting from sickle-cell anemia, LaVonnia founded Project Care. Project Care provides care packages stocked with teddy bears, blankets, activity books, bottled water, board games, socks, toothbrushes, toothpaste, lotion and body wash for children and families who struggle with recurring hospital admittances related to chronic illnesses. Throughout 2015, LaVonnia aims to provide care packages to over 150 children. She is currently raising donations to address the hardships that families with terminally-ill children face through Project Care's website. Drought-Resistant Fruit Trees in Embu State, Kenya. 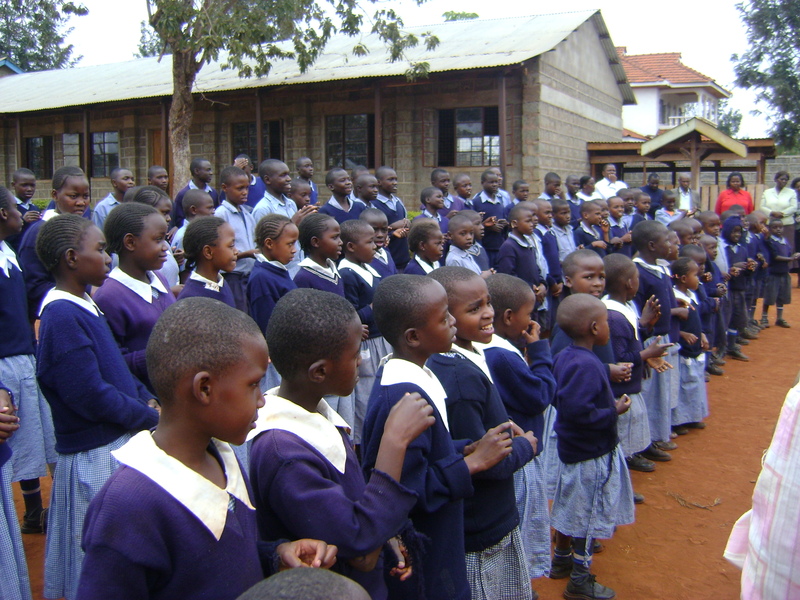 Ann Gloria and her students at the St. Luke's School for the Deaf in Embu State, Kenya are volunteering their time to transform the region's arid landscape. Through the school's Adopt a Tree Program, Ann and 60 of her students from the St. Luke's Nature Club are working with more than 600 of their peers from 5 different regional schools in order to plant drought-resistant species of fruit trees. The project aims to not only beautify the landscape, but also to provide nourishment to the school's students and faculty. 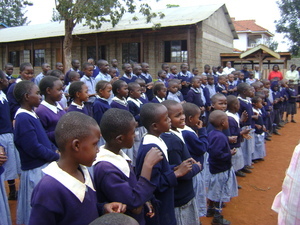 Student activities include establishing local tree nurseries, organizing afforestation efforts, and providing education on conservation to their peers. Congratulations to each of these compassion warriors who are making our communities, and our world, a better place to live.